Home of president, Laura Lawson, MD. 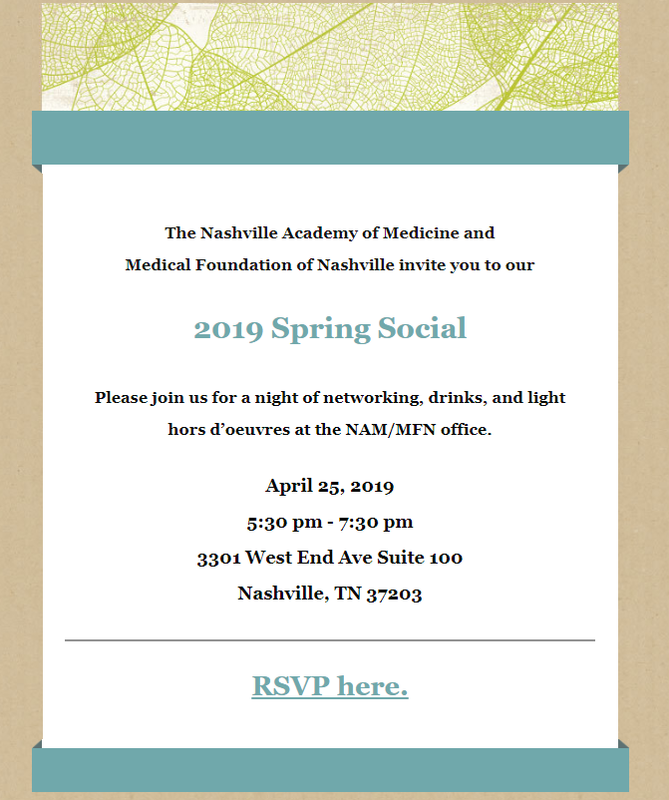 Tennessee Women in Medicine cordially invites female members of the Nashville Academy of Medicine to their 2019 Spring Social. TWM hopes to see you all there! If you would like to RSVP or have any specific questions about the event or Tennessee Women in Medicine please contact Taylor Crawford at tcrawford@nashvillemedicine.org.